So, last Wednesday night I find myself in a crowded sitting room with twenty or so Women of Substance who are just finishing off a delicious three course buffet meal made by Kate C. who has invited me to meet this group and talk about writing in general and my novel Becoming Alice in particular. These evenings are hosted by Kate as a part of her long-term project raising funds for the scanner appeal for Bishop Auckland Hospital. The gathering here this evening tonight is impressive - smart women mostly in their 50s and 60s - experts in the domestic arts, I imagine. Many of them - like Kate - are involved in charities and projects in the town, raising money and supporting the community. I meet a member of the WI committee which raises funds for women’s charities. Some women here volunteer for the Kynren Project which produces mind-blowing spectacular outdoor performances i the town regularly through the year. Some talk of volunteering in the unique Gallery of Mining art in the Market Place. Others volunteer in the new spectacular viewing tower in one corner of the marketplace. Some of them volunteer as guides in Auckland Castle Project, now being developed into a very significant historical location, fired by the desire to reinvigorate the town of Bishop Auckland and the wider region. I meet a retired bank manager and justice of the peace who has very interesting stories to tell. There are so many interesting stories here. But I’m here tonight to tell of my own fictional stories especially the story of Becoming Alice. This is the first of three novels in a Lifespan trilogy stretching from 1941 to the year 2000. Not coincidentally the timespan of this trilogy is my own lifespan and also arguably the lifespan of many of the women here. 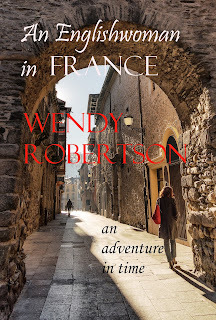 Earlier in the week, discussing with Kate my themes for her fundraising supper, I mentioned my theory that all of my 30 or so novels are anchored to the reality of my own experience. Kate said, ‘Oh I can see that you will have many stories to tell from your life.’ This made me put forward my theory that the novels cannot simply be a series of self-referring anecdotes. Far from it. Let’s look at locations. Many of my novels, including Becoming Alice, do feature aspects of my home region in terms of history and a sense of place. 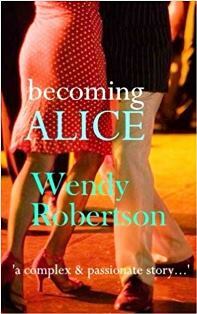 Some of my novels - including Becoming Alice - feature London through the decades. Then other of my novels are set in Russia, or partly in America, or in contemporary France, or in Civil War Spain or in World War 2 Singapore. In the span of the 20th century many of us have become much more fundamentally citizens of the world and our stories - published and unpublished - reflect this. It’s true that I have spent time in these locations and can anchor narratives in specific places and times. However while my novels spring out of experiences in my life, the complex process of creation (cooking?) means that the novels cannot be said to be autobiographical. In addition to her literary skills, any writer must use her skills of observation, her unique insight into her own experience, her own perceptions, her senses her own imagination – all grounded in her own intricate memory. In the case of historical novelists and science-fiction novelists underlying all these aspects has to be the ability to research, to dive into that time and that place, using as far as possible original materials - all these things are raw material for a novel. So, talking to Kate made me think harder than usual about the difference between personal anecdote and an original creative story. That night I spun up a very usual useful analogy to share these ideas with this group of Women of Substance whose keynote is possibly domestic excellence. There is a ripple of astonished laughter in the group when I explain, in an aside, that I am not domesticated and don’t cook. This, as I go on to explain, is perhaps compensated for by having a daughter who is a witty writer, gifted cook and journalist and something of a domestic goddess, although modest with it. Back To The Writing Of Novels. It is worth thinking about the nature of cooking and recipes. An apple pie for instance. We start with a list of quite separate ingredients either in our heads or in our cookbook: apples, flour, fat, eggs, salt-and-pepper and herbs. Each of these is a separate element. But fat is not an apple-pie, flour is not an apple pie et cetera et cetera. Across in fiction my experiences, perceptions, senses et cetera are equally separate elements. They are are not stories; they are fragments of a life. The cook does elaborate things in a certain order and then mixes the ingredients and puts them in the oven for a specific amount of time. In this analogy these very separate ingredients are changed by the chemical process of heat and time into something qualitatively different from the original elements. So the pie that emerges is distinctive unique and can suit a whole range of tastes. The pie is not the person who put the ingredients together and cooked it - it is a separate thing in itself. The people who eat the pie recognise it for what it is and apply their own cultural standards to the nature of their enjoyment. For me this all works quite well when one applies it to the relationship between a writer and her novel. When the process works well the novel many be read and enjoyed by a whole range of readers across class, cultures and tastes. During the session there is quite a lot of laughter and close attention. At the end there are some very insightful questions and comments. And amazing stories. Many of these exceptional woman buy my books and incidentally contribute to Kate’s scanner fund. Afterwards I am presented with beautiful yellow roses - not one but two bunches! These Women of Substance do nothing by halves. A New Publication on its way.